In nearly 9 years of collecting Irwin Allen items on eBay, this is yet another first. Rarely if ever do these type of items come up for sell. 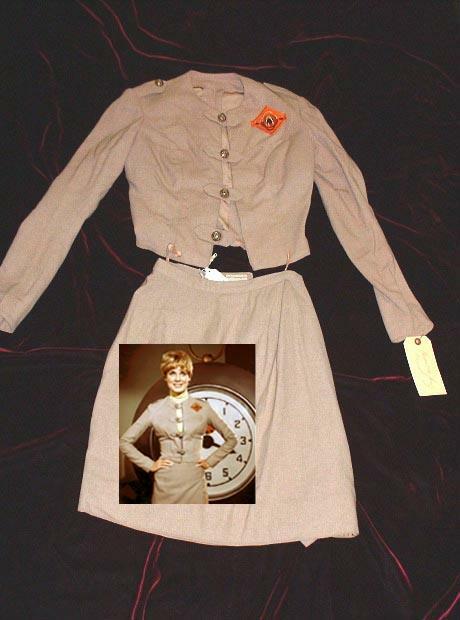 This is the original costume worn by actress, Heather Young in the classic late 1960's Irwin Allen television show "Land of the Giants". This is Heather's flight uniform costume. 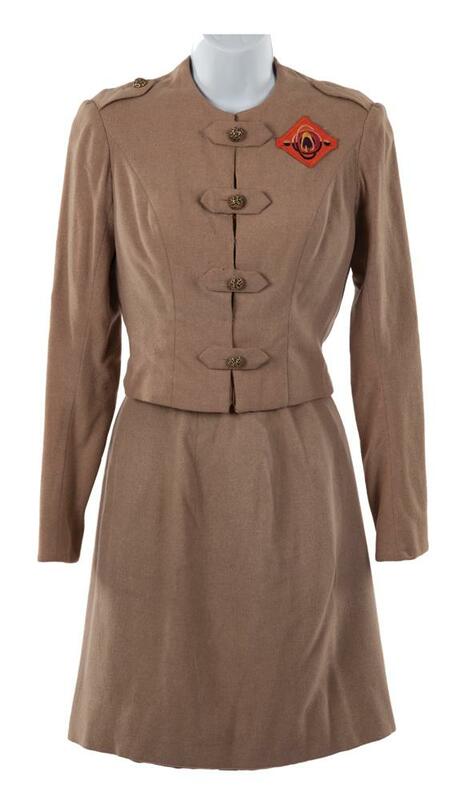 It is made out of beige, wool like material & has the original 20th Century Fox garment tags sewn into both the skirt & jacket. It also has what appears to be an original costume department ID tag from Fox, indicating that it is change #1 for Heather Young. There are hanger hoops sewn into the shirt. 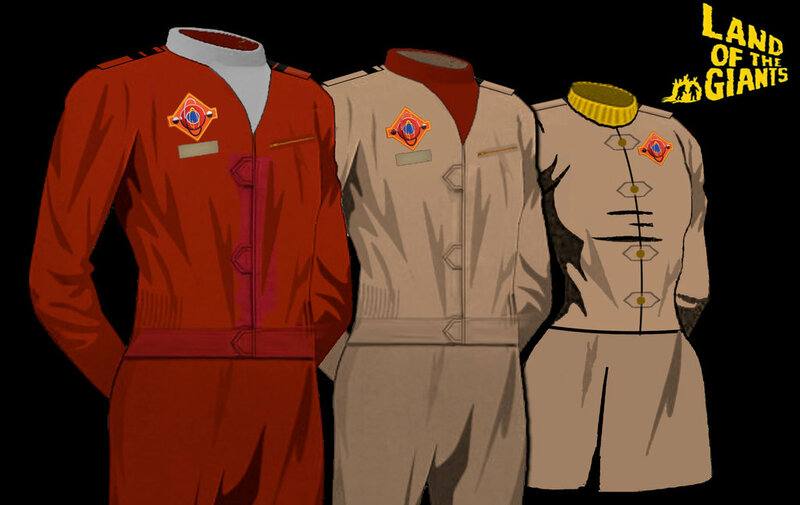 The Spindrift flight logo emblem is the original made by the Western Costume Department, and not a reproduction. This costume was purchased in 1998 through a pre-eBay auction held through the Butterfield & Butterfield auction in Hollywood & is guaranteed to be original. The stockings, boots & turtleneck are not part of the original costume. I would like to thank Duane, his girl friend, and Rusty Whitcroft of Encino, California for allowing us permission to host this costume on our website.